Its October, so that means its family portrait month!!! 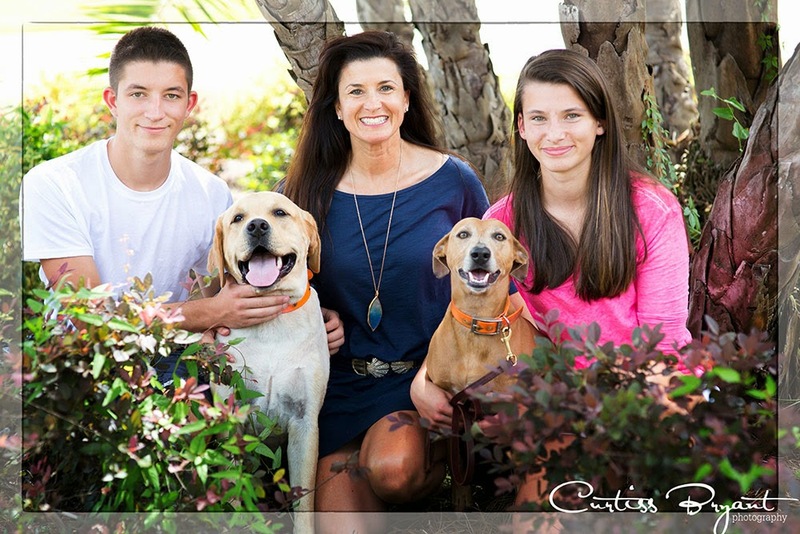 So how about a little discount for those family portrait sessions? Book a family portrait session with us in October (session can be in Oct or Nov) for $200 and we will credit $150 towards your purchase total. Best of all, ALL of our prints, wall portraits AND canvases are Buy One Get One free!! We are also extending the BOGO to our custom card designs (perfect for Christmas cards) and our new flip books which make great Christmas gifts for family. We only have a limited number of these sessions and once they are gone, they are gone. So if you would like to reserve one for your family portraits, contact us today to reserve your spot. This is only valid for family portraits and the sessions had to take place before November 24th. We recently decided to offer metal prints for our clients to purchase. When researching a few different companies to find out who provided the best quality, we decided on Nations Photo Lab (http://www.nationsphotolab.com/prints.aspx) as the lab to supply us with our metal prints. Once we placed the order, we received it very quickly. The packaging was great and protected the print from damage that can occur during the transit. Upon opening the box when it arrived, we were amazed at the colors and the vibrancy that shows on the metal prints. Its amazing. We ordered the gloss version, so it also had a sheen to it that made it pop even more. To our surprise, the print was sturdier than we had anticipated it to be. It definately make an impression and its something that we have added to our lineup and will continue to offer our clients going forward. Thank you Nations for an awesome product we can offer our clients. We recently had the privilege of photographing Ashley's maternity session at our studio in Citrus County. 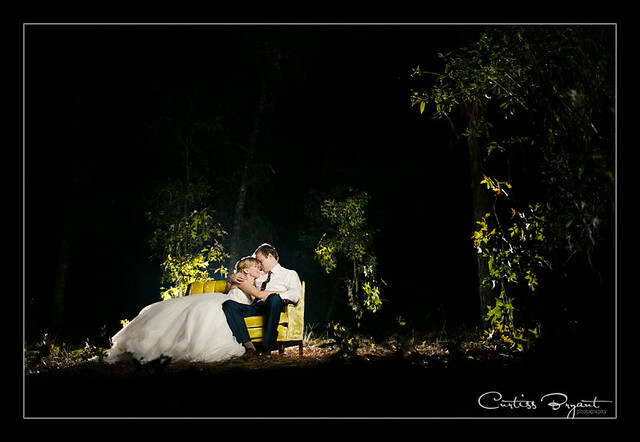 We typically dont to a whole lot of studio type maternity sessions, so we ended up outside behind the studio. There is just something about that outdoor surroundings that add to the beauty of maternity portraits. 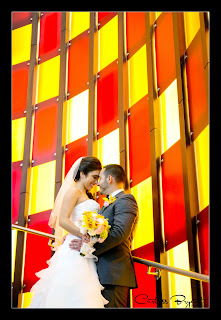 Its something "different" and not traditional and if you follow our work, that is what we LOVE to photograph. After the session, we decided that we wanted to do a few more outdoor portraits with her so we secured a local rustic location for a 2nd day of shooting. Ashley's maternity session was a blast to photograph. Its a privilege to be able to provide these types of images to our maternity clients. Thank you again Ashley for allowing us to capture this time for you. We met Tia and Mauricio in Ybor City for their engagement session. 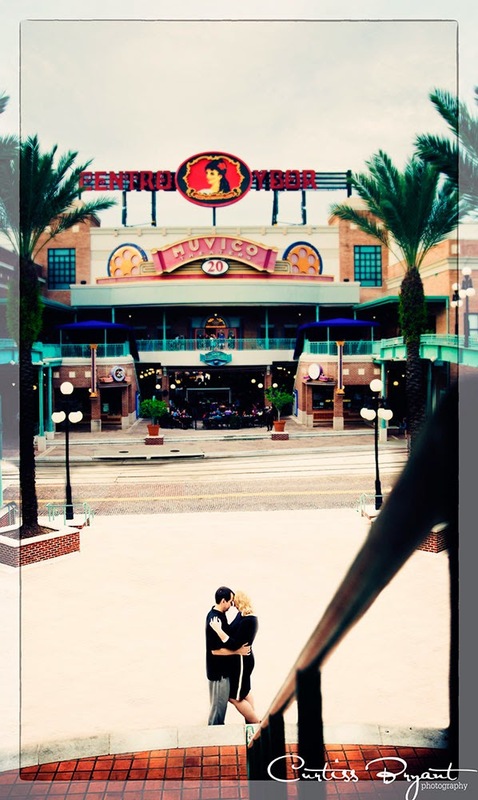 Mauricio plays in a band and we felt that the old feel of Ybor would work perfect for them. As with most of our sessions, we meet and just walk around the area without much of a plan. It allows us to find the areas that will work best for their images without "having" to go to a particular place. 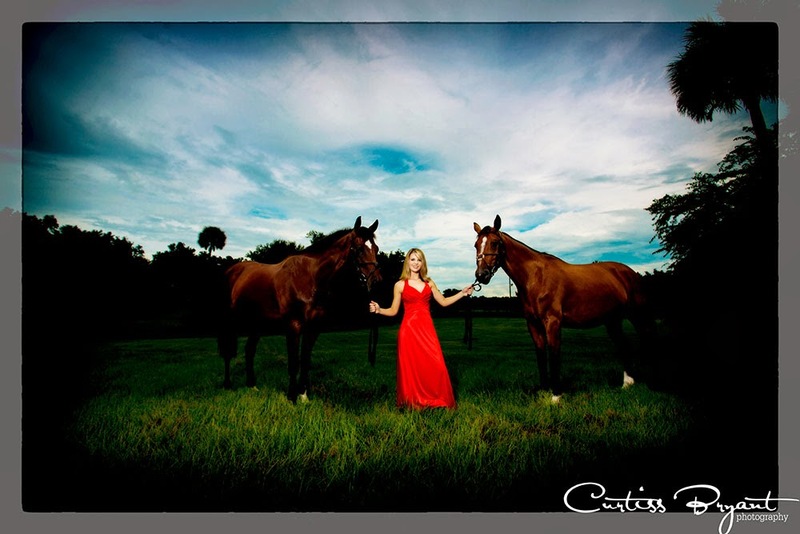 We photographed Samantha for her senior portraits a couple of months ago with her horses in Ocala. As senior portrait photographers, we strive to keep the seniors in their element and showcase who they are and the things that they are into. With our Experience sessions, we provide a hair and makeup artist to get the seniors looking their best. We like to refer to our sessions as "A model for the day experience" where we photograph them in a similar manner as we photograph our model clients. 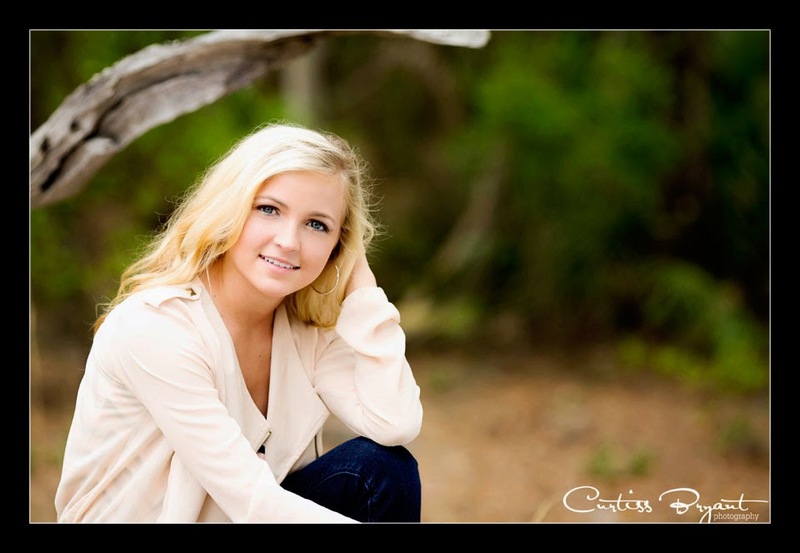 So from the hair and makeup to the posing, we treat them like a model for their session. It provides a unique experience that few studios can offer. We want to provide artwork for our clients to display in their homes. Well Ocala is horse country and Samantha had two beautiful horses that she wanted to incorporate into the session. So after the hair and makeup, we took off to a Sholom Park and started the session there. We photographed a few outfits at the park and then went back to photograph Samantha with the horses. We finished just after sunset and got some amazing images that she can showcase in her home and take with her when she goes off to college. You did awesome Samantha!! Enjoy your senior year! Its almost October, to that means that its almost official Family Portrait month. October is the month where the majority of our clients do their family portraits for their Christmas cards. Rather than doing a traditional portrait session that all your friends and their families do, why not do something different? Well this session is just that... Different. A couple of months ago we were asked to photograph a family session for a friend of one of our wedding clients. I spoke with her on the phone to get an idea on the type of session she would like to do. She told me she wanted something "Different and not like anything else any other family has done for their portraits". How refreshing. As a family portrait photographer, I cant count the number of times that we have been asked to photography family portraits on the beach with the clients wearing white and khaki (or jeans and black) or something along those lines. 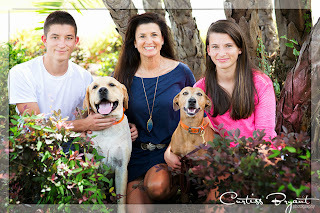 They are the cliche family portraits and not something that I like to embrace, but if the client is set on doing those types of portraits, we will do them. But this client wanted different and we LOVE different. So we emailed back and forth a bit tossing around a few ideas and then it hit me. Why not a powder paint session? We did one for a few models a few weeks before the phone call, so I had a reference image to show the client. She LOVED it, so we began the planning process. Initially, she only wanted to do the powder paint, but I had recommended that we do a couple of "traditional" portraits since the last time she did a session, the kids were kids and now they are in High School. So it has been awhile. So she agreed, but eagerly wanted to do the powder paint portion. Well the day arrives and we begin with the traditional portraits and then get crazy with the powder paint. Below is a sample of what we captured for them. Like most women who are expecting a child, Danielle wanted to do a maternity session to document this stage of her life. However, she wanted something that is different and not something that you see everyday. So she contacted us to schedule the session and we came up with a session that included some underwater portraits. As one of the few photographers that is able to offer this service (and the only one with experience and professional equipment), we were able to provide her with something unique for her maternity session. We met back up again a few months later in Citrus County to do the "regular" portraits, but with out own little twist to it. As you will see, there is a LOT of yellow. She has decided to paint the baby's room yellow and wanted the pictures to match the room, since that is where they will be displayed. 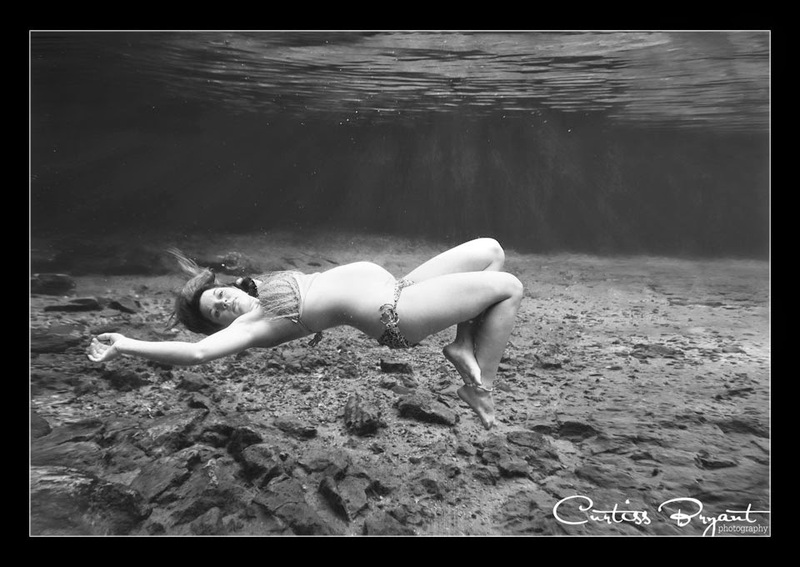 Enjoy some of our images from Danielle's maternity session!! Daniela and Alberto recently got married in Gainesville Florida. 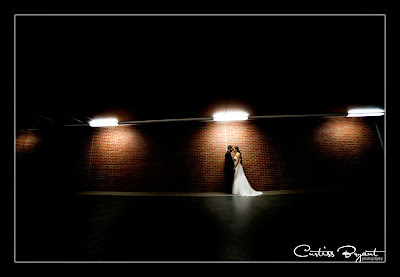 As Gainesville Wedding Photographers, we had a blast photographing this couple throughout the University of Florida campus and other areas around Gainesville. However, these portraits went a little differently than most of our wedding portraits go. They actually did all their couple's portraits BEFORE the wedding. Thats right, Daniela threw on her dress and Alberto threw on a suit and tie and met us at the University of Florida two weeks before the wedding. Why would they do that you may ask... Well their wedding day timeline was very tight and they didnt have a lot of time for the creative portraits, which were very important to them. So they decided to be different and do them before the wedding. And as wedding photographers, we have to be prepared for everything. So we met with them outside Ben Hill and went to town on their session. They are an amazing couple and we feel very privileged to have been chosen as their wedding photographers. Thanks guys. It was a blast!! Here are a few from the portrait session and wedding day. Our Senior Portraits Program is growing quickly. 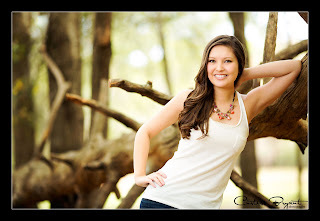 Each year we do what we call a senior rep program where we select a few upcoming seniors to represent our senior portrait services for the Class of 2014. This year we have 8 girls from the local high schools in Citrus County: Citrus High School, Lecanto High School and Crystal River High School. We provide these reps with valuable discount cards that are only available through them. So if you are ready for your senior portraits, contact one of your school's reps for the discount card. This year's discount is 60% off your session fee if you book before June 30th. The session can take place anytime throughout the year, but you need to call to pay for it before June 30th, otherwise, you will not be eligible for the 60% discount. We are known for our stylish senior portraits. We like to have fun and want our clients to have a blast with us. Gone are the days of just sitting and looking at the camera. We provide a model for a day experience that you simply cant get at other studios. Come to our 1300sqft studio space in Lecanto or an outdoor location of your choice. We are available to go anywhere within Citrus County or the surrounding areas. 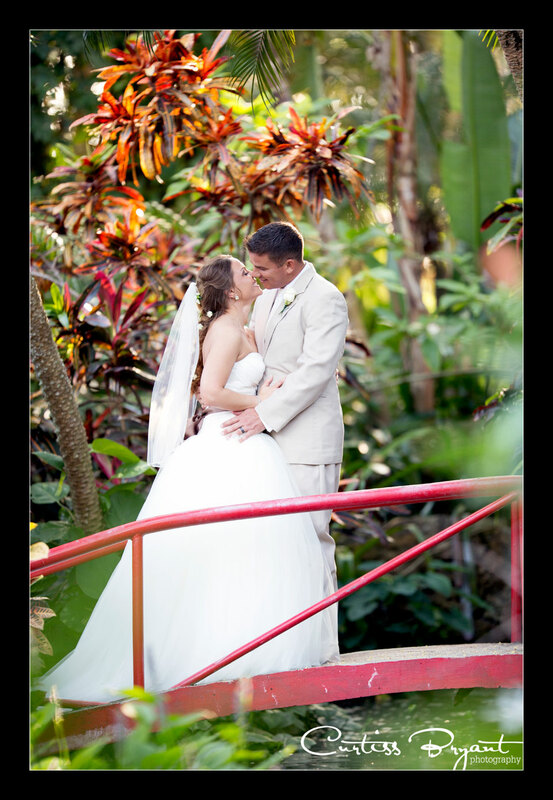 We also have a few sessions that include travel throughout Florida and even the United States. And the best thing is, there are no additional travel fees. 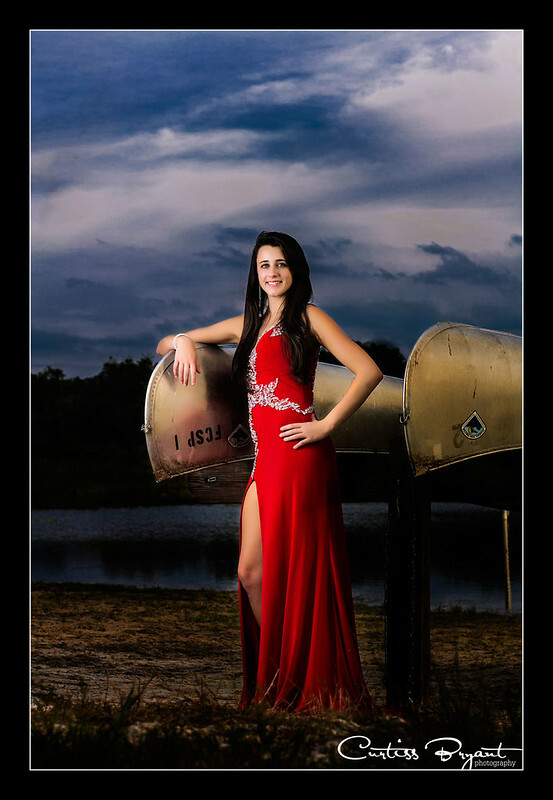 So you just meet us wherever you would like to do your senior portraits and have a blast. 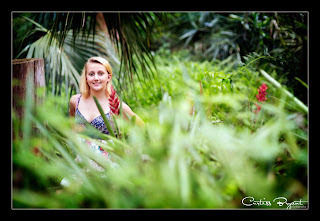 If you would like more information regarding our Senior Portraits please feel free to contact us or visit our website at www.curtissbryantphotography.com. We recently had the pleasure of photographing Victoria for her senior portraits. We traveled to Jefferson, Georgia and did the session at a local park. We had a blast photographing Victoria. She did awesome. 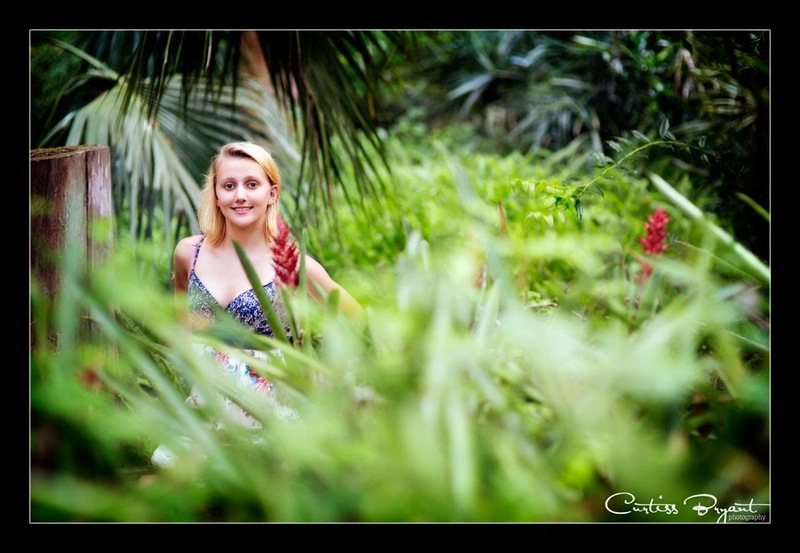 We like to create something different and fun for our senior portrait sessions. 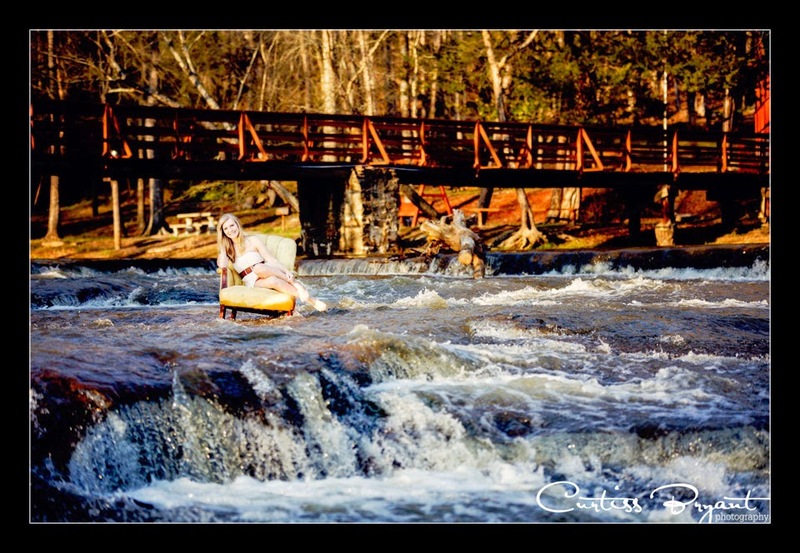 We found an antique chair at a local antique shop and decided it would be the perfect prop to throw in the middle of a stream. Its the shot that we envisioned when we saw the park on our scouting trip the day before. Victora pulled it off and now its one of our feature images in our studio. Erica and Rob joined us in Brooksville for their engagement session. We wanted to do something a little different than the normal sessions that we do, so we came up with a theme of "A Day Out" to utilize for their session. So we came up with a camping type look to use for the session. 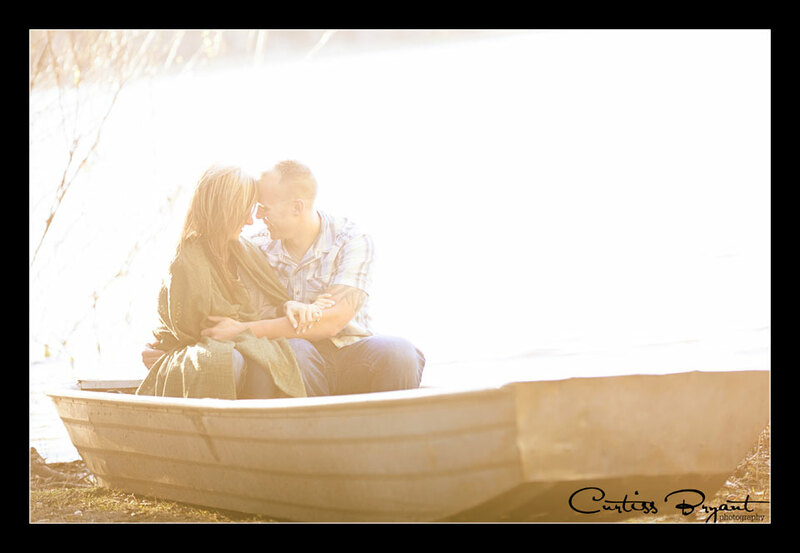 So the entire session took place around a lake and the look of taking a day out and enjoying themselves. It was a tad bit on the cold side, but they rocked it and pulled it off. Take a look and enjoy! Our senior portrait sessions are a bit different than most other photographer's sessions. We get to know our clients and it gives us the unique opportunity to photograph them as they are. Our sessions are an experience and something that will be remembered. 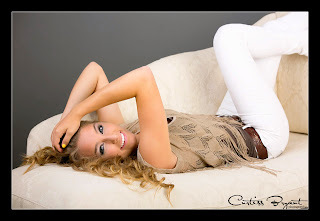 They are certainly not boring and definitely not your typical senior session. 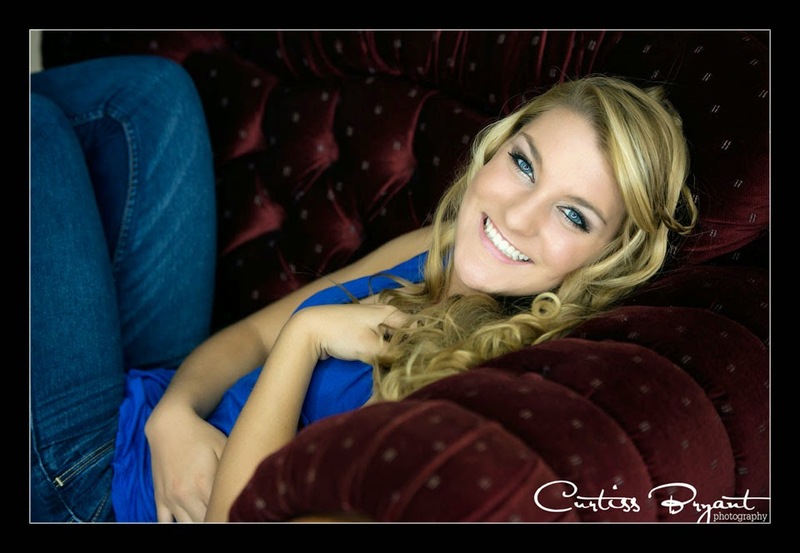 Courtney's Senior Portrait session was awesome. We went to a local park in the Citrus County area and had a blast shooting her. Here are a few images from her senior session.